What happens when two of the greatest chess minds in history play together. This was not only for their own honour but the honour of their country. At the height of the Cold War American Bobby Fisher played the Russian Boris Spassky in Reykjavik, Iceland. This is the story of that historic game. Not only do we get the amazing trailer. That showing the differences between the two players and what was going on in Bobby’s mind at the time. Sometimes not for the better. We have the poster and a great selection of images. 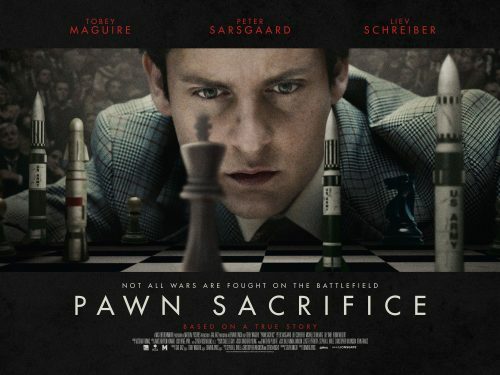 Pawn Sacrifice follows American chess phenomenon Bobby Fischer, who squares off against his Russian rival Boris Spassky in the 1972 “Match of the Century” in Reykjavik.